Just before tying the knot you need a bucks party to remember with all of the boys! 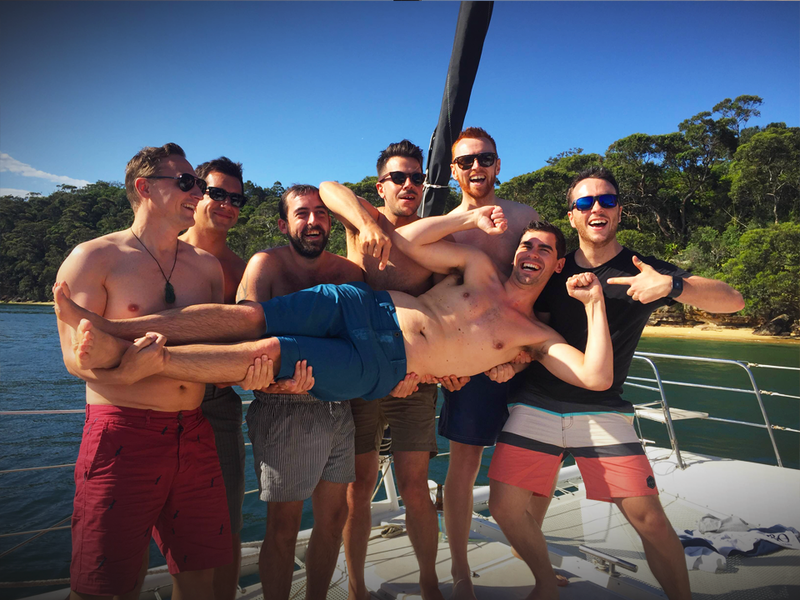 If you’re looking for bucks party ideas in Sydney, our catamarans are the perfect idea! The Rockfish boats are very spacious and can have up to 20-30 people. Our boats are fitted with speakers and a Bluetooth connection for your favourite party mixes. Bring your own food and drinks, or we can cater for you. If you want to break the rules a little we can organise some entertainment for you, weather it be to serve drinks or to perform a bit of a show we can sort this out for you! 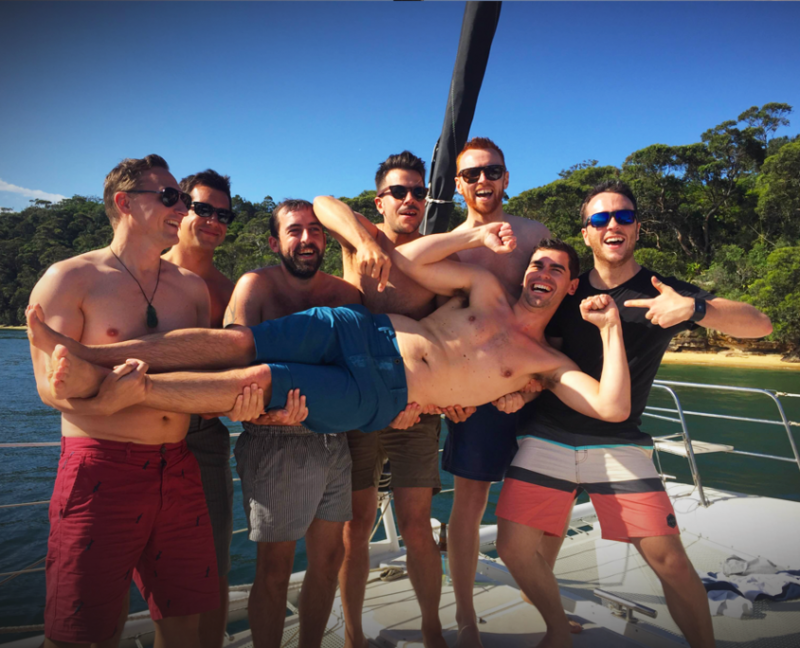 Meet the coolest crew ever when your cruise starts and then we will head out past the Harbour Bridge and find the perfect spot for you to have a BBQ and a swim. 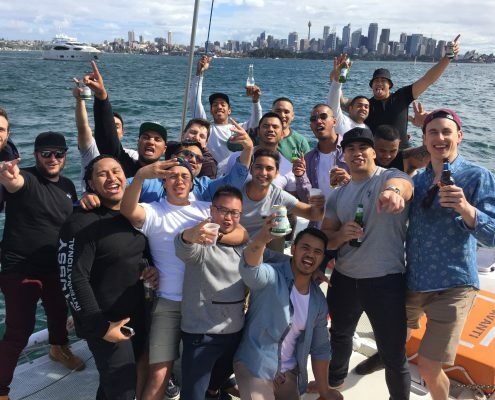 Chill out with your mates and enjoy the back drop off Sydney Harbour. 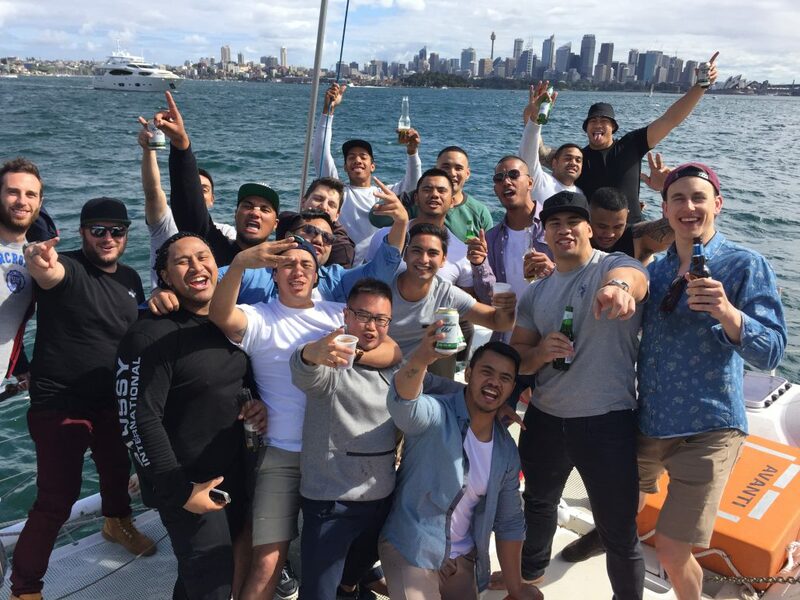 What would be better then spending your day out with your mates than this private party on Sydney Harbour? Just remember, what happens on the boat, stays on the boat! 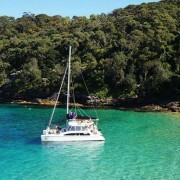 Maximum cruise time is 3 hours, check out our price list for current bucks charter rates. “Bucks party on Rockfish II with about 18 of us (+ waitress…). From top to bottom, very impressed. The communication from booking right up to the day was excellent, and they very helpfully assisted to organise the waitress who was a class act. The boat itself was great, big enough that you weren’t stepping on each other but still small enough to have that small boat feel. Captain and crew were great, both open to having a bit of a chat and some fun.